•	Photogrammetry: UAV-RPAS for topo, 3D modelling, building elevations, etc. •	As Built Surveys - Section 38, 104, 278 etc. 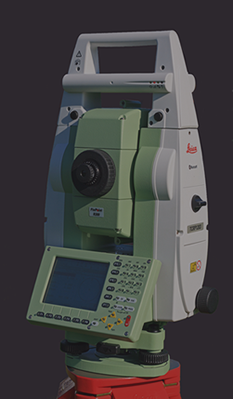 Our equipment consists of the most up to date laser measuring devices including Leica MS series robotic total stations. The use of laptops and other on site processing facilities enables us to swiftly compute data in the field. Data can be supplied in various formats including AutoCAD (DWG & DXF), Adobe PDF and ASCII. All survey data can also be provided in full colour on paper or film in any size from A4 to A0. Why choose First Point Surveys? We are a small, independent & professional practice of highly skilled land surveyors & site engineers with many years experience producing bespoke surveys including topographical surveys and measured building surveys for a varied client base including architects, house builders, supermarkets and public bodies such as the NHS & HM Forces. Thanks to our proximity to the A1/M1 and M62 we provide a competitive service across the entire country, using the very latest in surveying equipment to enable speedy and precise surveys. Please contact us with your requirements, we can produce a bespoke specification that will suit the project and keep costs to a minimum.